Nose: Custard, apple, guanabana, spicy licorice tang. Palate: Dates, raisins, fried bananas, succulent, rich. Finish: Fruit, touch of bourbon, rich, dry. Rich toffee, treacle and orange aromas; date and toffee flavors with a touch of tobacco; robust, sophisticated and balanced; builds in complexity and stays forever. Nose: Buttery, floral, vanilla, maple, butterscotch, sweet, toffee, oak, nutty. Palate: Butterscotch, caramel, toffee, creamy vanilla, molasses, dates, mango, sugar cane, sherry, toasted walnuts, almonds, nutmeg, floral, cloves, allspice, tobacco, woody, pine, oak notes, pepper spice, smooth, different, nice, mellow. Finish: Floral, caramel, slightly sweet, soft, a touch of spice, long. Nose: Caramel, honey, cocoa, papaya, banana, cashew, hazelnut, coffee, cinnamon, tea leaves. Palate: Orange marmalade, orange, plum, tropical fruit, hints of mango & pineapple, butterscotch, caramel, honey, brown sugar, toast, nutty, spicy, oaky. Finish: Marzipan, tropical fruit, smooth, pleasant. Very distinctive and complex aromas; like a glass of Bananas Foster and tastes like it, too; guava, banana, cookies and cream, dates and spices galore; evolving, everlasting finish. 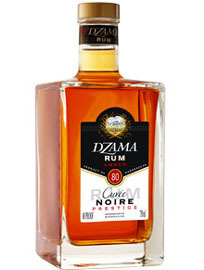 Nutty, well-balanced flavors; dates and seawater; smooth, sweet and balanced, full-bodied with a rich butteriness; builds complexity through the finish. 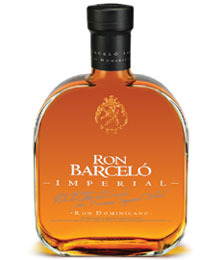 Elegant cognac-like aromas, with hints of orange and lime; Very smooth and balanced flavors with a light butterscotch taste; finishes round, balanced and long. Nose: Ripe fruits, banana, coconut, dried fruit, sugary, bubble gum, citrus. 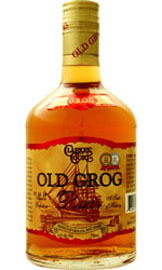 Palate: Tropical fruit, banana, pineapple, creamy, caramel, cane, cinnamon, floral, smooth, mellow. Finish: Ripe fruit, woody, spicy, soft, subtle. 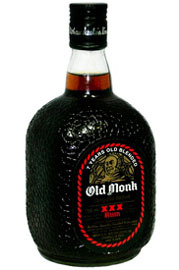 Nose: Dried fruit, green leaves, unripe fruit, honey, caramel, toffee, treacle, butterscotch, sherry. Palate: Butterscotch, caramel, maple, honey, molasses, tropical fruit, coconut, herbal, peppery, sherry cask, smoky, soft, smooth, nuanced. Finish: Toffee, clean, fresh, light, easy, gentle, nicely balanced, mellow. Nose: Dried orange, butterscotch, caramel, molasses, honey, vanilla, chocolate-covered pretzel, round. Palate: Caramel, toffee, honey, vanilla, honey Graham, creamy, hazelnut, coffee, milk chocolate, silky, sweet, leather. Finish: Buttery, toasted honey, light, creamy, smooth, mellow.